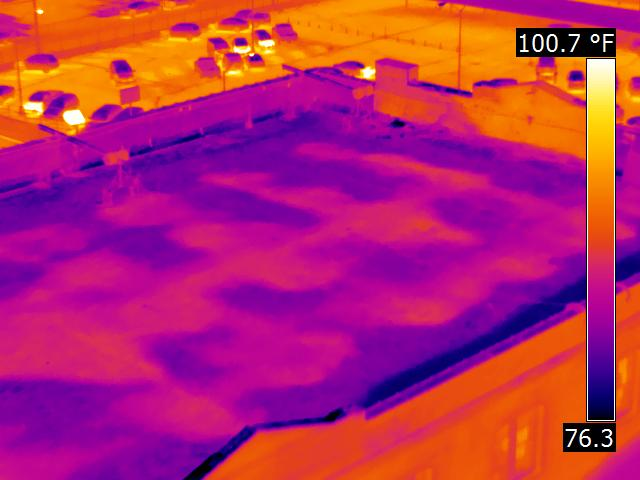 A DFW Infrared Roof Scan uses an infrared camera to visually see small temperature differences that indicate temperature differences for Infrared Roof Scans. The resulting images or thermograms indicate moisture under the roof membrane. Use DFW Infrared roof scans to find areas where moisture is under the roof membrane to find areas that are leaking water into the structure, saturating your roof insulation and stealing your heating and cooling in the building. Moisture under the roof membrane can damage the roof deck. Save money repairing your roof instead of replacing the roof. The FLIR T620, high resolution digital infrared camera is our tool of choice to help determine if moisture is leaking through your roof and affecting the roof structure and building conditions. This infrared camera is the state of the art digital thermal camera on the market today. It has higher digital resolution that allows for wider inspection conditions meaning we can find smaller energy loss problems than our competition. Our digital infrared cameras see in the long wave infrared spectrum of light.The cameras rugged nature allows for longer equipment life and that translates into more affordable energy audits for our clients. Your house insulation and attic insulation problems are no match for the power of this infrared camera. Infrared – A Closer Look Inc. has different Dallas infrared services to help you take control of your building maintenance and it all starts with knowledge about your roof that keeps you dry and saves you energy. Our thermographers use thermal imaging as a tool to help detect roof leaks. Dallas Infrared is here to answer your questions about thermal imaging and this new infrared camera technology. 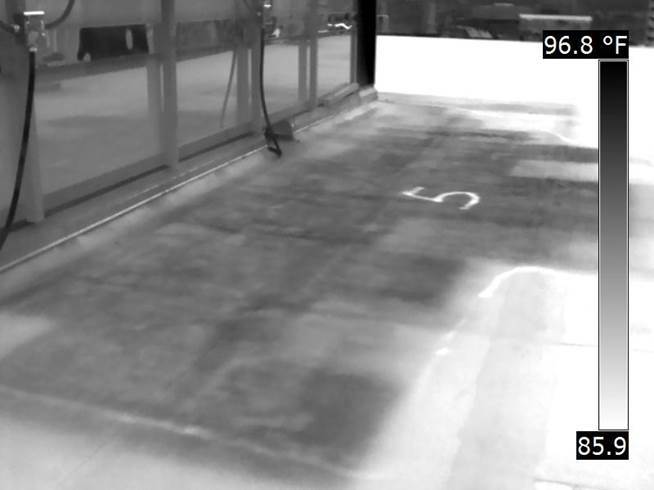 Thermal imaging can make roof leaks a black and white decision about where to concentrate your repairs time and energy. DFW Infrared Roof Scans can detect moisture under the roof membrane and potential areas of leakage. A Closer Look Inspection Service has been performing home inspections, energy audits and energy inspections for more than 34 years. We have the expertise in performing residential surveys to find reduce energy loss in your home.